This article first appeared in The Edge Malaysia Weekly, on November 13, 2017 - November 19, 2017. GREAT Eastern Life Assurance (M) Bhd, a unit of Singapore-listed Great Eastern Holdings Ltd, is understood to have placed its 1.1-acre parcel in Petaling Jaya, Selangor, for sale. The insurer may be able to get an estimated RM40 million for it, sources say. The Edge understands that the insurer has decided to sell as it has no plans to develop the freehold parcel it purchased nine years ago. Recently, The Edge spotted an advertisement for the sale of a 1.1-acre freehold development land in Mutiara Damansara, Petaling Jaya. According to the map in the advertisement, the parcel is located at the corner of Jalan PJU 7/9 and Jalan PJU 7/3, next to Menara Mudajaya. Documents show that Great Eastern purchased the empty commercial land from Mutiara Rini Sdn Bhd, a subsidiary of Boustead Holdings Bhd, in 2008 for RM18.365 million or about RM380 psf. Great Eastern did not respond to questions sent by The Edge on whether the said parcel belongs to it and if so, why it has decided to sell it. Savills (M) Sdn Bhd has been appointed the exclusive marketing agent for the asset. Its officials declined to comment when contacted by The Edge. Interestingly, the proposed sale comes as two other insurers in the country are divesting their assets as well. In June, MCIS Insurance Bhd invited expressions of interest for its building in Jalan Barat, Petaling Jaya, which is its headquarters. 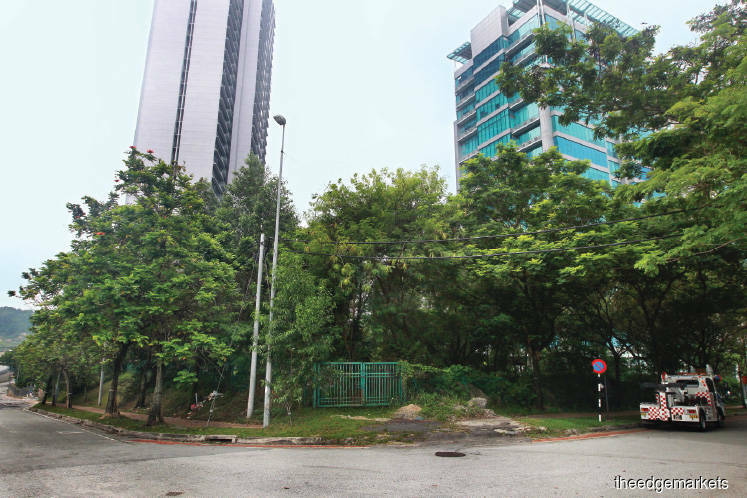 The asset — Wisma MCIS and an annexe — sits on a 1.75-acre parcel. The lease on the property expires in 2067. MCIS Insurance CEO Kobus Vlok was reported as saying that regulatory and competitive technological pressures and external market factors had necessitated a review of the company’s strategy and positioning in Malaysia. He added that one way of doing so was to move away from activities that tie up resources. The Edge understands that a buyer has been identified and the insurer is awaiting approval from the relevant authorities. In September, AIA Bhd put a portfolio of 15 assets — valued at an estimated RM100 million — up for sale as part of its rationalisation exercise. AIA said the assets, which include office buildings, shopoffices, a condominium and a piece of vacant land, were considered non-core and mostly unused. An industry observer points out that the insurers could be selling their assets to become leaner ahead of complying with Bank Negara Malaysia’s ruling that foreign insurers must not own more than 70% of local insurance firms to allow for greater local participation in the industry. The foreign insurers have until June next year to comply. Both Great Eastern and AIA are wholly owned by foreign insurers. However, other industry observers say the sales by all three insurers are a mere coincidence. In fact, they add, Great Eastern recently acquired a soon-to-be-completed office building in Kuala Lumpur’s Golden Triangle for between RM450 million and RM500 million. The insurer bought the office block of the Equatorial Plaza development in Jalan Sultan Ismail. The integrated development, which includes a luxury hotel, is being constructed on the site of the former Hotel Equatorial Kuala Lumpur. Targeted for completion in the third quarter of next year, the Grade A office building will offer a net lettable area of 460,000 sq ft.
Great Eastern did not respond when asked if it had purchased the building. However, in an artist’s impression on Equatorial Plaza’s website, a Great Eastern signage appears on the office tower. Also, the website has posted Great Eastern’s financial performance. Incidentally, Savills is also the exclusive pre-leasing agent of the office tower. Coming back to the land parcel in Mutiara Damansara. At the estimated selling price of RM40 million, it is valued at about RM830 psf. Last year, TSR Capital Bhd bought Satu Kahwin Sdn Bhd, the owner of a 5,078-sq ft freehold parcel in Mutiara Damansara near Menara Mudajaya, for RM48.1 million. At this price, the land was valued at RM880 psf. Records show that Satu Kahwin, owned by Habib Jewel managing director Datuk Seri Meer Sadik and Datin Sri Zarida Noordin, purchased the commercial land in 2010 for RM23.61 million, or RM432 psf. According to Great Eastern’s 2016 annual report, its other Malaysian assets include Menara Great Eastern and Great Eastern Mall, which are both in Jalan Ampang. The latter is a freehold building with a gross floor area (GFA) of 149,464 sq ft and sits on 25,600 sq ft of land. Great Eastern also owns Menara Weld (The Weld) in Jalan Raja Chulan. The insurer also owns a residential condominium, Seri Hening Residence in Ampang Hilir, which has a GFA of 53,111 sq ft. The project sits on a 21,484-sq ft parcel. Another asset is Shell Garden — a freehold parcel measuring 16,349 sq ft — in Port Dickson, Negeri Sembilan. The annual report does not list the Mutiara Damansara parcel.